This is a small but mighty bouquet, packed full of the classic spring flowers - tulips and hyacinths, finished off with a dash of freesia. 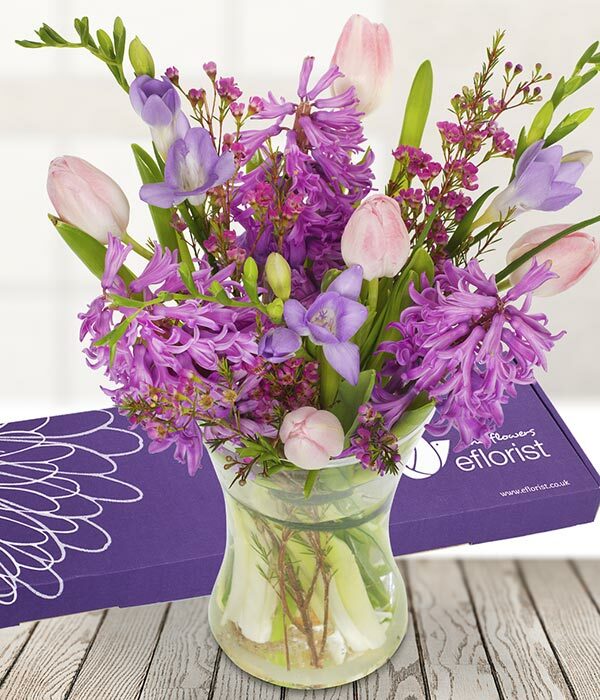 This beautiful bouquet is packaged carefully in bud for optimum freshness, in a box which will slide through their letterbox making it even easier to send flowers. This item is delivered Royal Mail and the box is small enough to fit through most UK letterboxes and can take a couple days to be delivered.